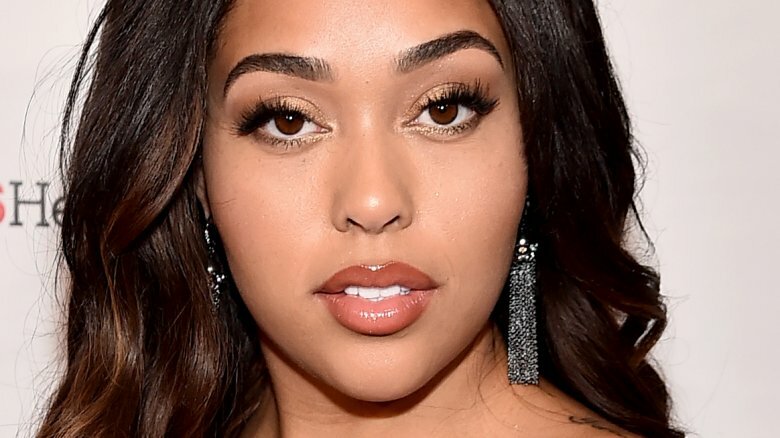 Jordyn Woods was a main fixture in the lives of the Kardashian women, having been best friends with Kylie Jenner for years. But that appears to have changed after news broke that Woods reportedly had an affair with NBA player Tristan Thompson, a.k.a. Khloé Kardashian's boyfriend and baby daddy. After Khloé Kardashian learned of Woods and Thompson's alleged hookup on Feb. 17, 2019, and subsequently dumped Thompson on Feb. 18, fans were eager to learn more about all the drama. Kardashian appeared to confirm the reports of Thompson's cheating by commenting on an Instagram post by Hollywood Unlocked about the alleged infidelity with a series of shouting emojis. Kardashian's BFF Malika Haqq also left a comment, writing, "STRONG FACTS" (via Complex). And since then, Kardashian, 34, has liked a tweet that's made it pretty darn clear just how she feels about Woods, as the post in question called the 21-year-old a "terrible woman." The tweet read, "@khloekardashian dont let anyone ever say this is your fault!. He is a sick man and if its true, then she is a terrible woman, both terrible people that do not deserve your love. TRUE does and ur doing great showing her that love." But Kardashian wasn't exactly quick to diss Woods via Twitter likes. Kardashian and her siblings actually had a hard time believing that Woods would ever engage in an affair with Thompson, given her relationship with the family, according to People. "That Tristan would be inappropriate, yes everyone knows that he can't behave, but that Jordyn would make out with him, it first seemed like a made up rumor," a source told the magazine. The insider added that "several family members reached out to people they believed had been at the party" to confirm the story that Woods and Thompson had cheated, and "they were told it was true." After all, it'd be hard to believe that someone so close could commit such an act of betrayal. "She was like a family member and always invited everywhere," the source explained. "The family helped her and wanted her to be able to have a business venture too." Besides working with Kylie Jenner on her beauty empire, Woods had also modeled for Khloé Kardashian's denim line, Good American. According to Us Weekly, since Woods and Thompson's alleged affair made headlines, Kardashian, who "loved Jordyn" before the scandal, has been "upset and hurt," and best friend Malika Haqq has become angry, clearly mad at those involved in this scandal. "She thinks Jordyn is disgusting and complete trash," an insider told the publication. 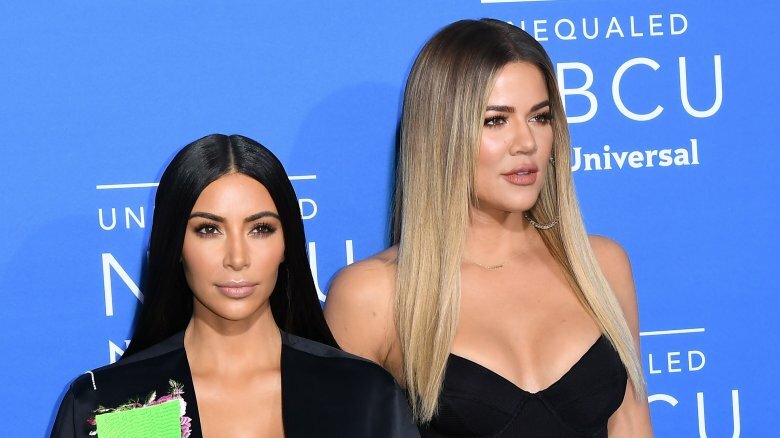 Meanwhile, Kardashian's siblings have all reportedly unfollowed both Thompson and Woods on Instagram, a modern-day way of cutting people out of your life (via Page Six). For Kim Kardashian, this marked the second time she unfollowed Thompson, 27, on social media, as she'd previously unfollowed him after he was caught cheating on Khloé shortly before she gave birth to their daughter, True. Kim later followed Thompson again after he and Khloé appeared to have moved past Thompson's infidelity. She memorably filmed herself discussing whether she should follow him again during Khloé's 34th birthday party. At the time, Thompson also unblocked Kardashian (via E! News). While it'd seem that Woods' relationship with the Kardashians is over forever, her friendship with Jenner remains up in the air, though things admittedly don't look good. "At this point, the Kardashians aren't 100 percent sure if Jordyn is going to be cut out of Kylie [Jenner]'s life," an insider revealed to Us Weekly. "But they're all looking at it as she better be." Saying goodbye to Woods might be difficult for Jenner, as she reportedly "doesn't have a lot of friends" and has been close to Woods for such a long time. Still, Jenner and Woods appear to have taken steps to distance themselves from each other. Woods is reportedly moving out of Jenner's home and in with her mother, according to TMZ. The celebrity gossip rag noted that it was reportedly Woods' decision to move out. "It's been a difficult time and she's broken up about it. She's heading home to be with her mum," a source told Cosmopolitan. At the time of this writing, neither Jordyn Woods nor Kylie Jenner have spoken out about the alleged cheating. And none of the Kardashians have out-right commented on the reported affair. Guess we'll just have to wait to learn more about all the drama.